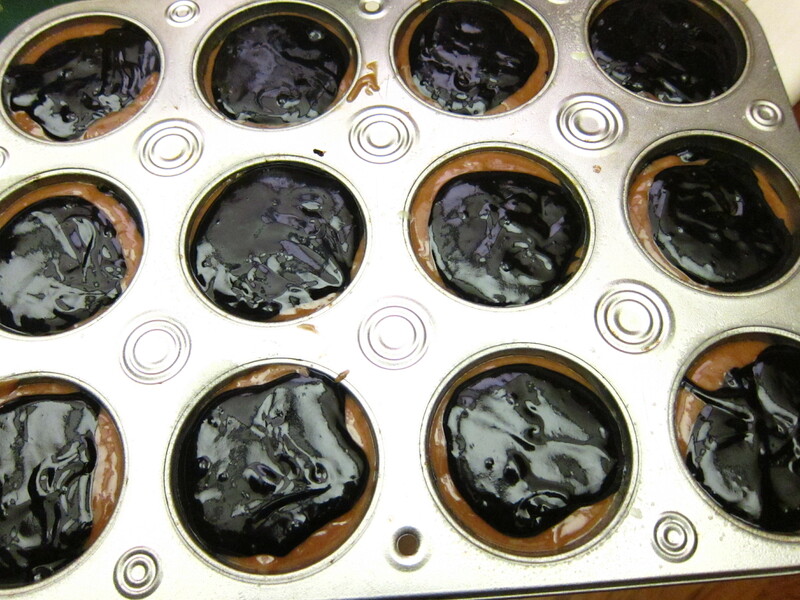 Okay, so I saw this chocolate mold on BakeItPretty and I just HAD to buy it and use it on a cupcake somehow. 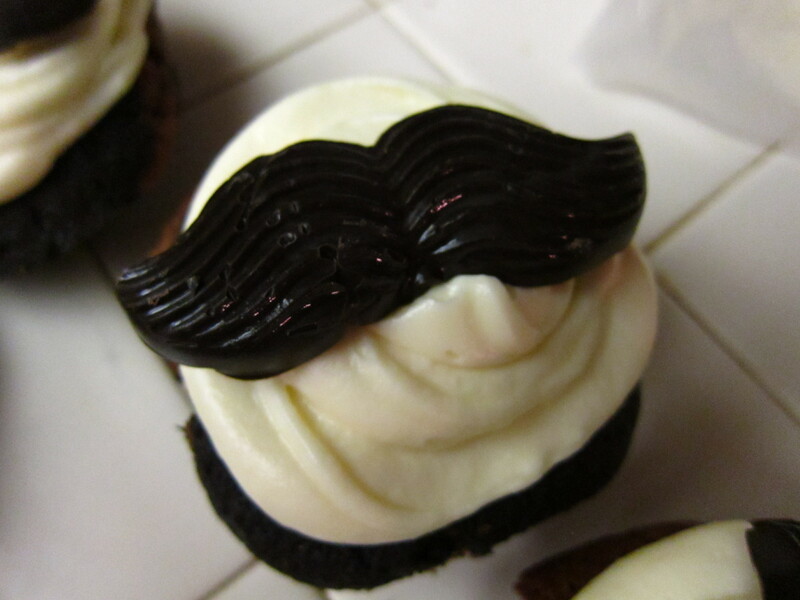 I thought of making black and white velvet cupcakes with cream cheese frosting and plopping on a chocolate mustache for fun and that’s how these were born. So they are really pretty simple. As always, preheat your oven to 350. Then you make your standard red velvet cupcake batter, except you don’t add the red dye. 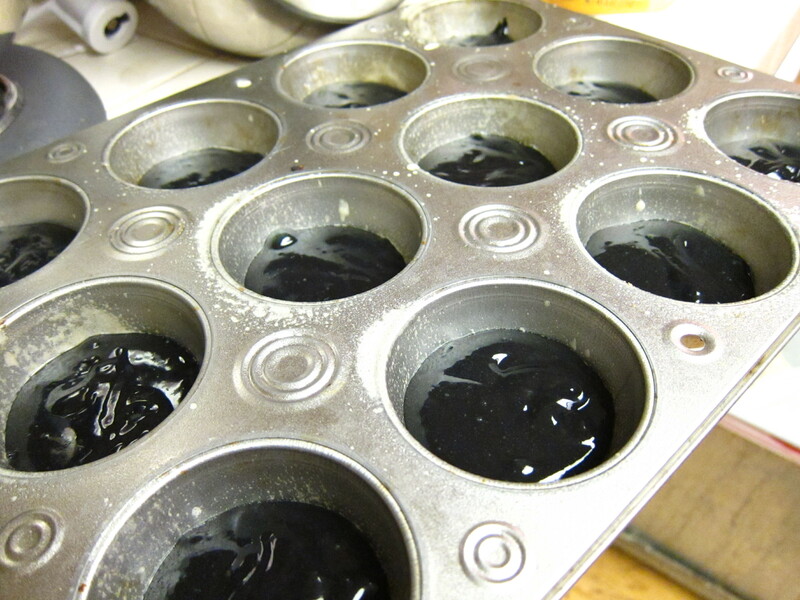 I divided my batter into two and put black dye in one bowl and no dye in another. 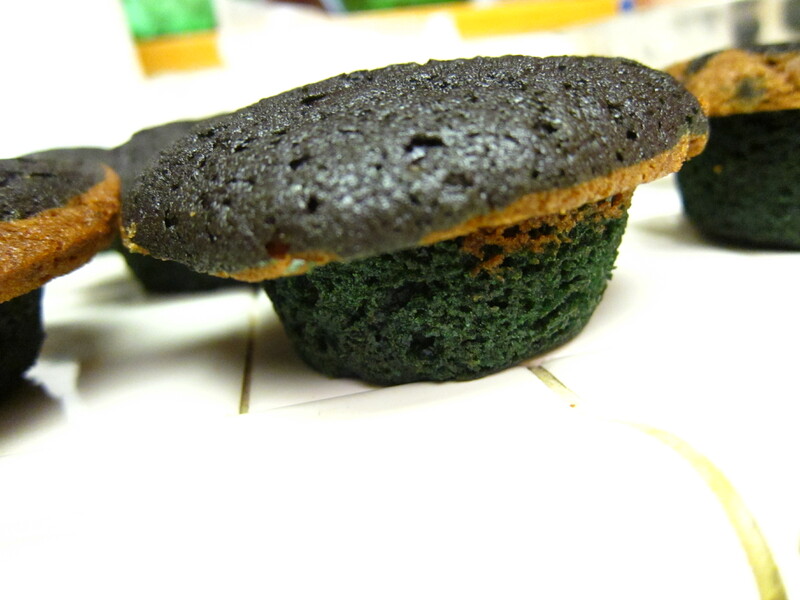 So, in hindsight, I think I should have added more dye and used paper liners on my cupcakes. I used about a teaspoon of black gel dye. I would say at least one more teaspoon. 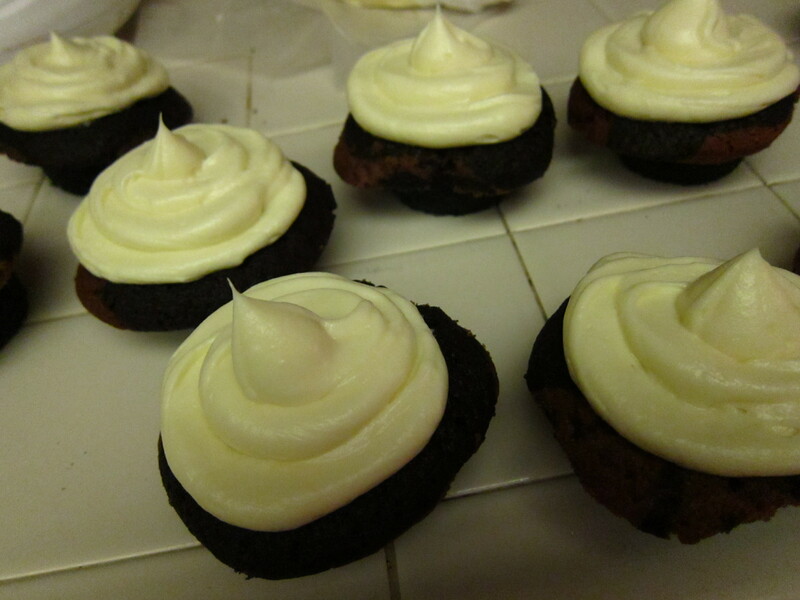 You’ll see why soon, but I had run out of paper liners and thought, no worries, I’ll just use some baking pam. 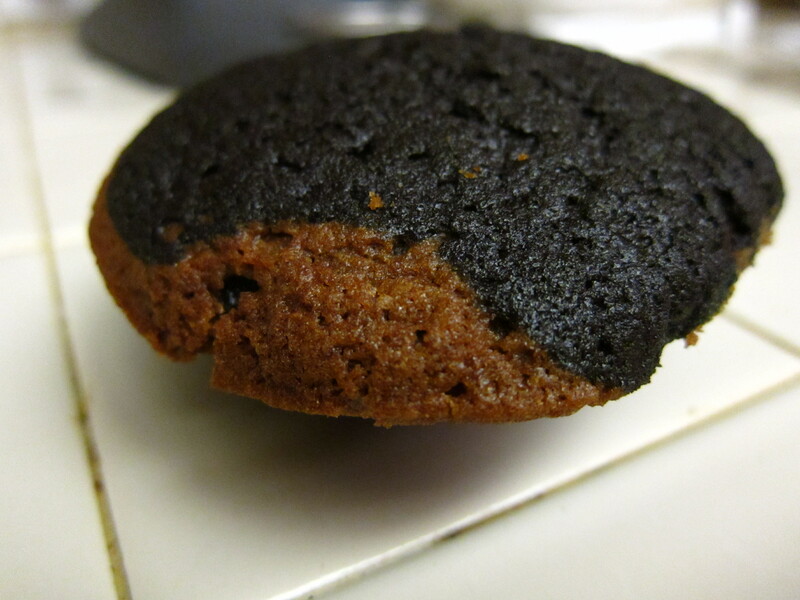 Well, I think the black dye and the baking pam had an interesting chemical reaction in the oven. You’ll see soon. 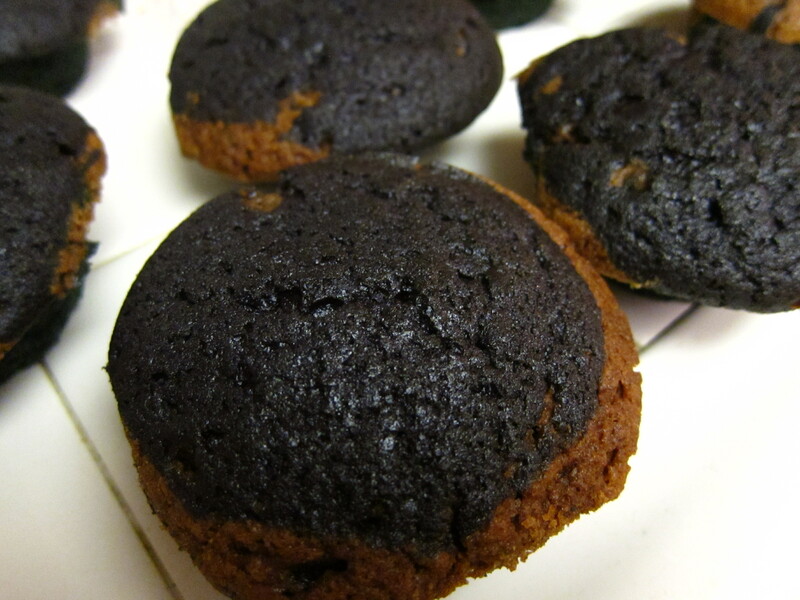 Anyway, I “pammed” my cupcake pan and then put in one spoonful of black batter then regular batter. So then bake for 20-25 minutes, until a toothpick comes out clean. 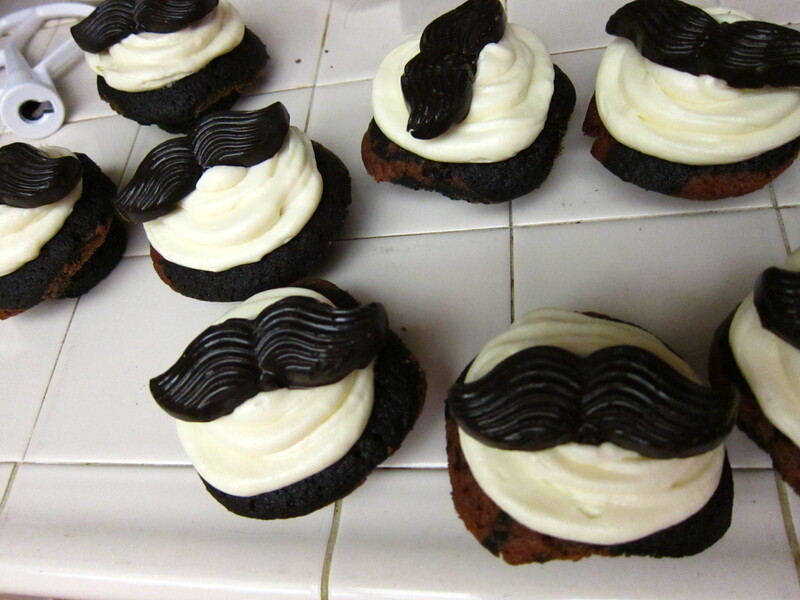 While you wait you can make your mustaches. 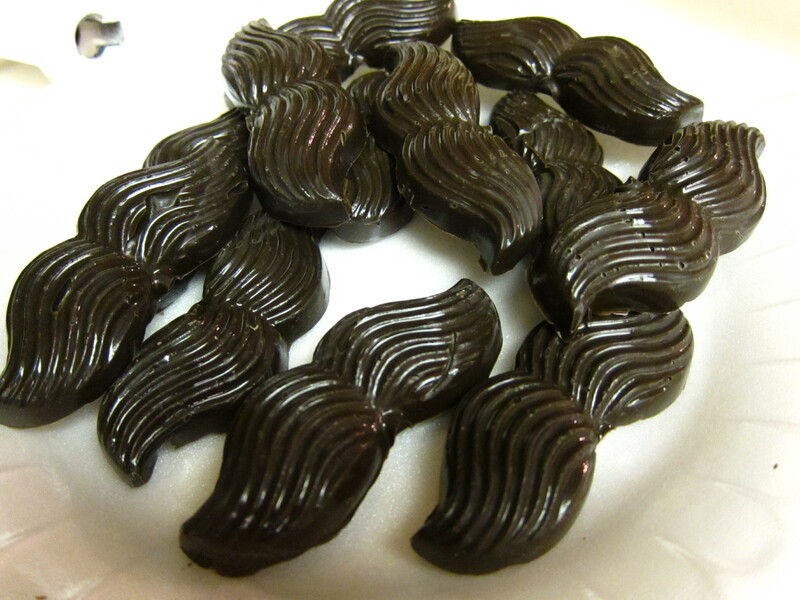 I just got my standard chocolate melts and melted them and placed then in a piping bag. 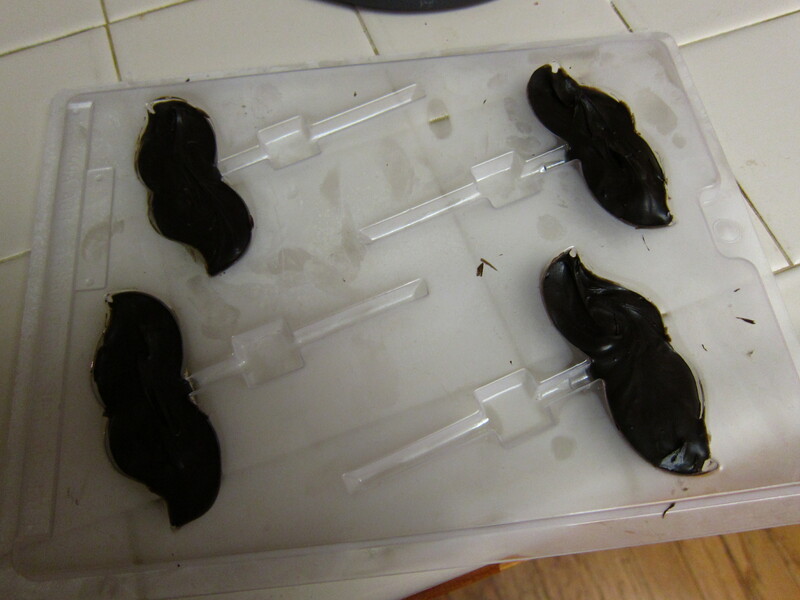 I piped them into my chocolate mold and placed them into the fridge to hurry up the hardening process. oOkay, so as you can see, from the top, they look fine, but the bottoms that touched the pam turned greeeeen! It was quite comical. They didn’t have the black and white look that I wanted them to have because I forgot about the cocoa in the mixture making it browner than it would have been without it. Then to top it off the bottoms came out green! But, it’s alright, they still tasted yummy and this way they looked a bit sillier. Everyone really liked them and they were just plain adorable to look at. Goodluck on your cupcake adventures! 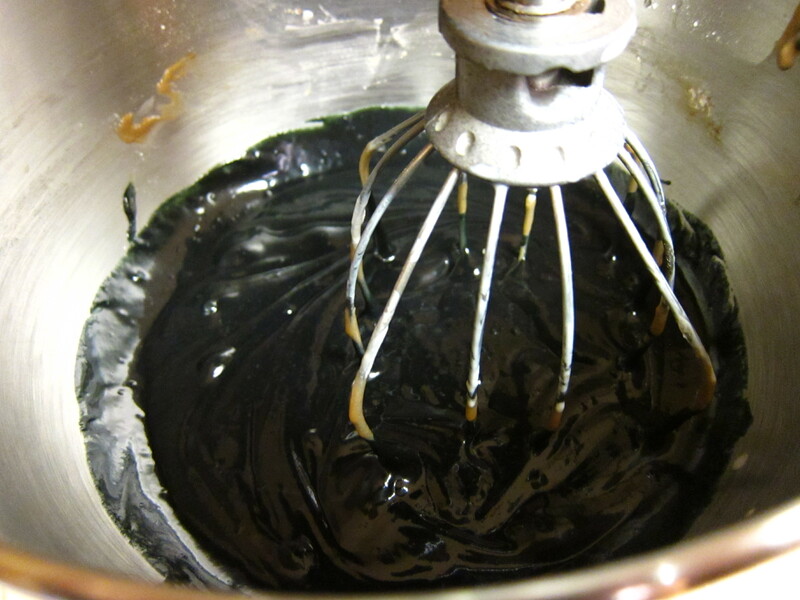 * if you can’t find black gel food coloring, I hear you can mix red, yellow and blue food coloring to make black. I haven’t tried it out, but let me know! Preheat oven to 350 degrees. Line standard muffin tins with paper liners [or pam :p]. 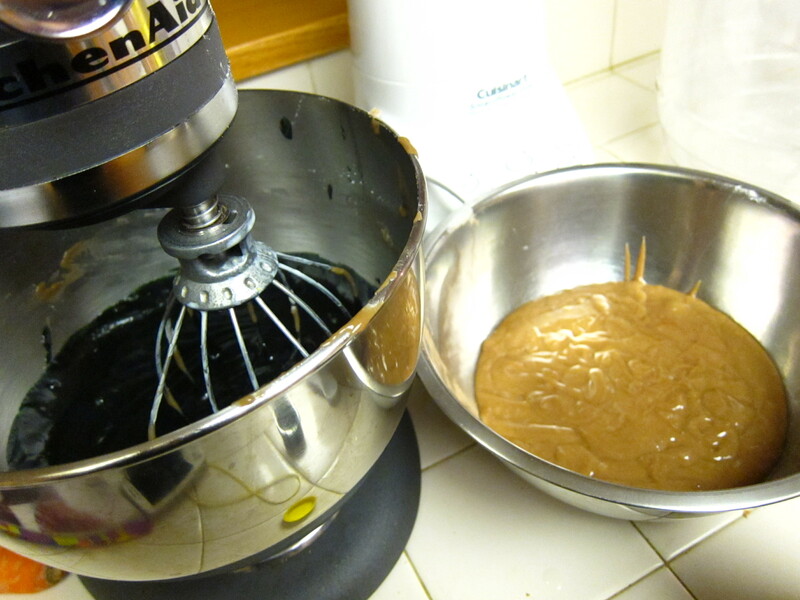 Whisk together cake flour, cocoa, and salt. 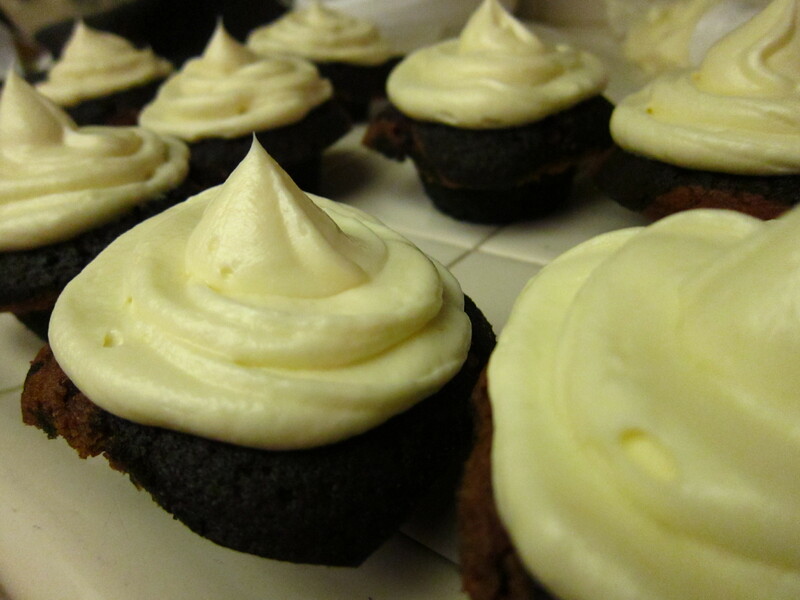 Pipe on Cream Cheese frosting. 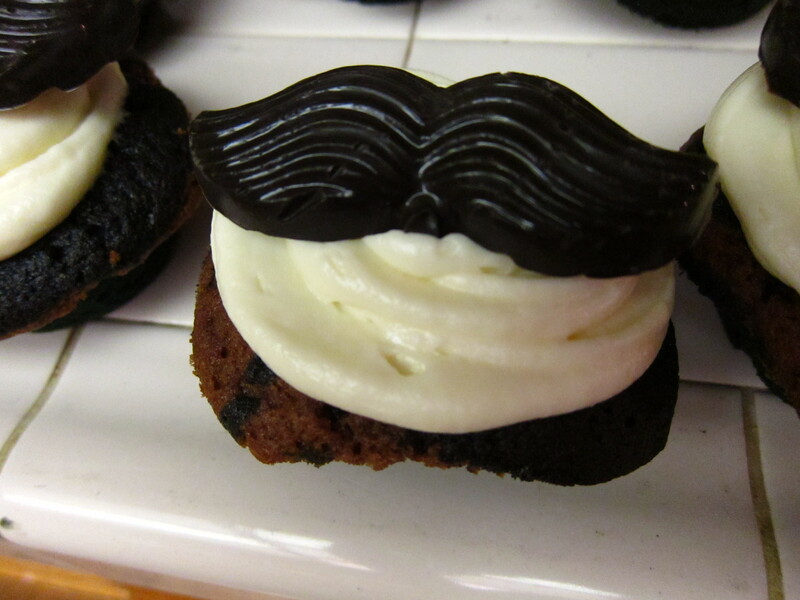 Then add your chocolate mustaches to make them a touch more sophisticated. Then, EAT!